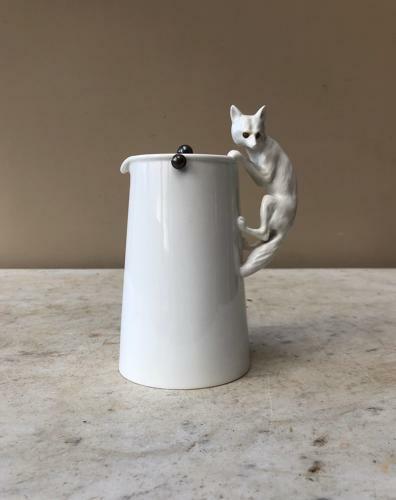 Rare Early 20th Century White Copeland Spode "Fox That Got The Cream Jug" these are hard enough to find when a cat but very rare with a fox. It looks like the fox has glass eyes. The jug has a pewter lid.